Be a part of the FIMCEC family! Bring much needed support to the Charente’s most popular classical music event allowing it to evolve with ever more exciting projects! This unique festival offers 5 weekends of total immersion in the world of classical chamber music. 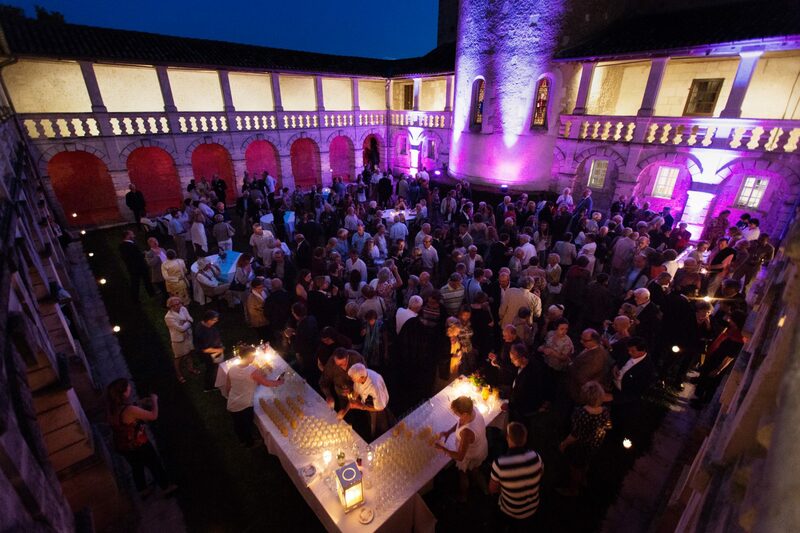 Well-known by music-lovers, presenting a rich and abundant programme, an array of significant international artists has made the Festival International de Musique de Chambre en Charente one of the most renowned of its kind over ten years of dynamic concerts. It is remarkable that a festival of this calibre, the only chamber music festival in this part of France, can have become so well-established in the heart of the countryside, far from the major concert halls. This buzz is reflected also in the friendly and enthusiastic atmosphere created by the Friends both during the concerts and at the receptions afterwards. The «Friends of the Festival» form a unique community of philanthropic music lovers. They are the event’s most treasured partners and have been actively supporting the Festival for the last eight years. By joining this diverse group you contribute to the Festival’s viability, to maintaining its profile as the most important chamber music festival in the department. Your donation contributes directly to the bottom line of the Festival, and these funds are essential for its development and durability. In addition, your contribution could also take various other forms; you could provide accommodation for artists or join the volunteers who help us welcome the public during the concerts, work on the Friends’ table or serve out refreshments. You could host a dinner during rehearsals or post-concert, bringing together performers and Friends for unique moments of friendship and relaxation. You could join the dedicated group of taxi-drivers or help with the catering. We are always open to suggestions! The perfect gift for other music-lovers in your life. Friends’ memberships can be bought throughout the year. Please contact us if you would like to purchase a Friends’ membership as a gift. To thank you for your support, the Festival international de Musique de Chambre en Charente and the Friends join forces to offer you an attractive package of exclusive benefits.